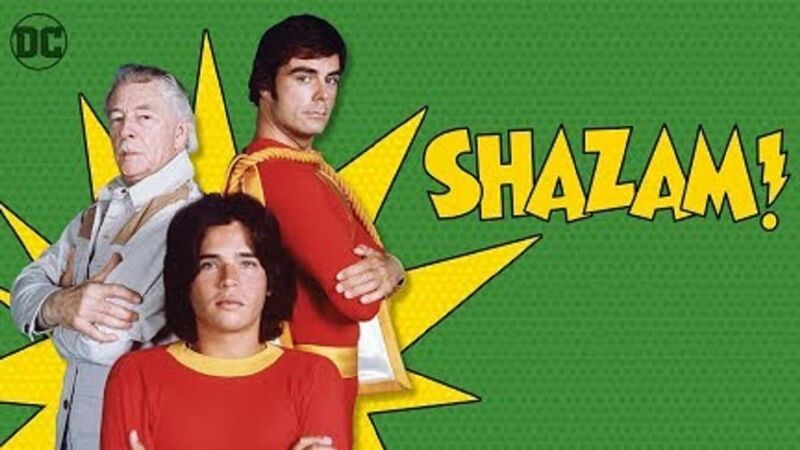 Here's where to watch every episode of Shazam! season 2. Mouseover or tap an episode to see where to stream it. Click or tap the play icon to stream it on the best available service. On Winning Sep 6, 1975 Corky feels that he's no match for his big brother, whether it be motorcycling, fishing... you name it. He also feels that his dad doesn't care for him as much as his older brother. But when Corky runs away and his dad almost gets killed trying to find him, Corky realizes how much his dad loves him. Moral: A parent's love shows no rivalry. Winning isn't the important thing...it's that you do the best you can. Debbie Sep 13, 1975 Debbie's parents have warned her not to ride with Tom on his motorcycle, because he is wreckless. It's Billy's job to help Debbie to realize that when her parents don't let her do certain things, it's because they love her. Debbie realizes this when Tom and his buddy swipe a six-pack of beer from a gas station, and almost get mangled by a large truck. Moral: When a parent sets rules and regulations, it really is a form of expression of their love and concern. Sometimes the hardest thing for them to say is ""no"". But we can be sure that most of the time there's a good reason for it. Fool's Gold Sep 20, 1975 A group of boys have been harrassing an old prospector, whom they see as a mean old man. But things change when one of the boys is hurt and the man lends a helping hand. Because they've been playing around in his mine, it caves in on the old prospector. Captain Marvel punches right through the rock to save him! And in the end, the boys and prospector become friends. Moral: There are things more precious than gold. Things like respect and understanding. Respect means more than being polite. It means knowing we've learned from each other. There's a lot we can learn, if we only listen. Double Trouble Sep 27, 1975 Captain Marvel robs a gas station! Or is it an imposter in an incredibly realistic mask? Now there's a warrant for Captain Marvel's arrest, and so the real Captain Marvel turns himself in. With Marvel in jail, the crooks decide to rob the Iverson Mine's payroll. Meanwhile, Mentor finds the crooks' mask, costume and cape, which proves Marvel's innocence. Can Marvel stop those bad guys before they get away with all that loot? Moral: Respecting the law is just another way of saying that we respect each other. Laws have been made for the good of everyone, and when someone breaks the law, they're saying ""I don't care about you."" When you respect the law, you respect yourself. Goodbye, Packy Oct 4, 1975 Kathy's pet wolf, Packy, is getting too old to be held in captivity any longer. He's becoming wild and hard to control. When it comes time to turn him loose, Kathy takes Packy and runs away. Trouble ensues when they hide in a conveniently placed hot-air balloon. Moral: Having a pet carries responsibilities. Some animals are born to be free. To deprive them of that right is selfish, so we all must understand and respect the laws of nature... for our sake, as well as for our animal friends. Speak No Evil Oct 11, 1975 Three boys break into their school and accidentally start a fire. They get away before they are seen, but one of the boys' dogs is seen at the school. When the boy confesses, the two other boys find out and chase him into a dangerous electrical plant. Moral: Don't ever be afraid of being called a name. As long as you're sure what you're doing is right, there's no word... no name...that can harm you. The Odd Couple Oct 18, 1975 Dan is too proud to accept help from Captain Marvel when his airplane runs out of gas in the middle of nowhere. Dan learns that everybody needs help once in a while when a fierce forest fire breaks out, and Captain Marvel needs help from Isis in order to put it out. Moral: There are a lot of things we can do by ourselves, but it's kind of foolish and maybe even dangerous to try to do something when we don't know how.